Background The inappropriate use of antibiotics is considered a main cause of microbial resistance. This is an important public health problem. Community pharmacists have an important role in the management of drugs for outpatients. Objective Our study sought to explore pharmacists’ knowledge, attitudes, perceptions and dispensing habits insofar as to antibiotics and microbial resistance. Setting The study was developed with community pharmacists in the North of Portugal. Methods Qualitative research in the form of focus groups (FG). Focus groups were conducted with 4–7 pharmacists, using a moderator. A topic guide was developed to lead the discussions, which were audio-recorded and transcribed. The study was carried out between December 2010 and March 2011 in the five districts of the Northern Health Region of Portugal (ARS-N). Pharmacists from different regions of each district were invited to participate in the study by an investigator responsible for the study. Participants were informed about the study and that sessions were audio-recorded to facilitate data interpretation. They signed an informed consent form before taking part in the focus groups. The Ethical Committee of ARS-N was informed of this study. Main outcome measure Pharmacists’ knowledge and perceptions on antibiotic use and microbial resistance, attitudes related to antibiotic dispensing habits, and pharmacists’ suggestions to improve antibiotic use. Results A total of 6 focus groups were conducted with community pharmacists (n = 32). Attitudes related to the problem of resistance were attributed external responsibility, to patients, to physicians, to other pharmacies, and to veterinary consumption. Some attitudes were identified that could lead to antibiotic dispensing without a prescription. These attitudes are complacency, precaution and external complacency. Conclusions Portuguese pharmacists perceive that antibiotic use and bacterial resistance could be improved, showing a behavioural intention to improve antibiotic dispensing habits. The authors wish to express their sincere thanks to Michael Benedict for reviewing and revising the English of this manuscript. This work was supported by Foundation for Science and Technology (Fundação para a Ciência e Tecnologia) grants [PTDC/SAU-ESA/105530/2008] and [PEst-OE/EGE/UI4056/2011] from the Portuguese Ministry of Science & Education, and Health Research Fund (Fondo de Investigación Sanitaria) grants [PI081239 and PI09/90609] from the Spanish Ministry of Health. Difficult access to health care. Patient pressure. Aggressive attitudes, excuses such as they cannot miss work, travelling issues, patients known in the neighbourhood. 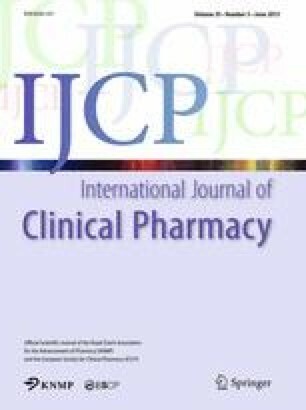 Is pharmacists’ behaviour towards a known patient different from that towards an unknown one? And towards a young patient versus an elderly patient? Are younger pharmacists more likely to ask for a prescription than older professionals? If the antibiotics are not sold at this pharmacy, can customers get them somewhere else? Will you dispense the antibiotic with the customer’s commitment to bring you the prescription later? In order to save time because you know that the doctor will prescribe it. Do you believe that there is some influence from the pharmaceutical industry? The antibiotic is dispensed because the prescription for the needed treatment was incomplete. Antibiotics were prescribed over the telephone. Llor C, Monnet DL, Cots JM. Small pharmacies are more likely to dispense antibiotics without a medical prescription than large pharmacies in Catalonia, Spain. Euro Surveill. 2010;15(32). http://www.eurosurveillance.org/ViewArticle.aspx?ArticleId=19635.